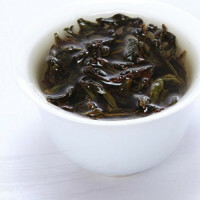 Fenghuang dancong is a type of Oolong tea from Guangdong Province, one of the very few tea varieties from the region. It grows on Fenghuang Mountain in Chaozhou City. The region has mild and humid climate. Fenghuang danzong can be found in parts of the mountain 1000 meters above sea level. 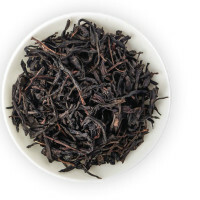 The Phoenix tea has had a long history behind it. It was said that during South-Song Dynasty (南宋 Nan-Song), the Emperor went to Chao-shan (潮汕) and passed-by the Phoenix Mountain. He felt thirsty, and his servant plucked the leaves from tea tree and prepared the drink to serve. It quenched his thirst at once and he was very happy. 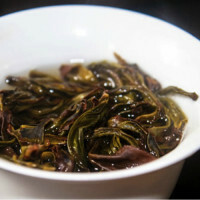 Due to its shape of leaf which is similar to the beak of a bird, it was named "Beak Tea" (鸟嘴茶 Niao-zui Cha). Since then, it was widely planted. It was also named as Song Cultivar (宋种 Song-zhong) because it was planted since Song Dynasty. Up to date, the cultivar has lasted for more than 900 years. Since Ming Dynasty (明代 Ming-dai), it became the tribute tea to emperors. The name of 凤凰单丛 means the single shrub (单丛 Dan-cong) of tea cultivar. This is referring to the individual plant selected and cultivated from the group of Phoenix Shui-xian tea cultivars (凤凰水仙群体品种 Feng-huang Shui-xian Qun-ti Pin-zhong) found at the Phoenix Mountain (凤凰山Feng-huang Shan). There are many sub-cultivars under the group of Phoenix Shui-xian cultivars, and each individual shrub has its own characteristic in terms of the leaf and shape of tea tree. 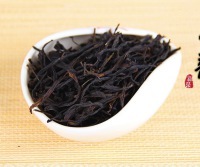 The made tea will give a wide range of aromatic profile which varies among different individual shrub. The mother plant of the cultivar is aged more than 200 years. This selected individual plant is particularly bred and processed. This is one of the remarkable cultivars among the Phoenix cultivars. The plucking starts by the end of March. When the first buds grow and fully develop, it is called Zhu-ya (驻芽). This indicates the starting of plucking season: the bud is plucked together with 2-3 leaves. In particular, the plucking is not carried out if leaf is covered with thick dew or after the rain. The hand-plucking is carried out with care in order not to cause damage to the leaf, and the plucked leaf must be lightly placed in the bamboo basket. 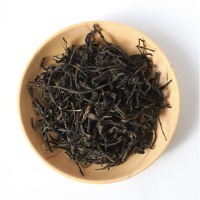 Fenghuang Dancong is the only Oolong tea with more than 20 kinds of natural flower and fruit aroma in the world.It is very good for weight-lost and is helpful for anti-oxidation. Dancong teas are noted for their ability to naturally imitate the flavors and fragrances of various flowers and fruits, such as orange blossom, orchid, grapefruit, almond, ginger flower, etc. .
Phoenix Dancong Song Zhong, grows in Phoenix Mountain, Chaozhou, China. It has been planted since Song dynasty. It is said that in Song Dynasty, Imperor Song travelled to Phoenix Moutain, he drunk some water cooked with wild leaves and found it very refreshing and tasty. From then on, people planted this tea tree and called it Song Zhong,meaning the plant from Song Dynasty. 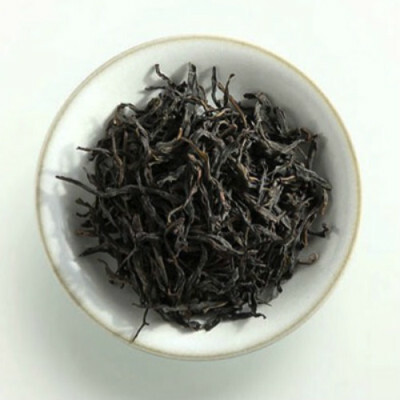 Song Zhong enhances strong honey flavor and smooth taste. It is the top one tea in Oolong tea. In 1976, Richard Nixon, the 37th President of the United States, visited China and was invited to have a try of Song Zhong. He praised that this tea is very refreshing and loved it very much.It is the best afternoon tea which help you to keep still fresh in the afternoon. It is also Great at breaking down oily or fatty food. The tea trees of Phoenix Dancong Ba Xian in our farm are about 200-500 years old. 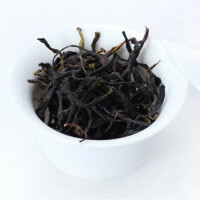 Phoenix Ba Xian is a super premium tea in Oolong tea. It grows in rocks in wild. With long time accumulation of minerals from the rocks, Ba Xian gives you an intensive taste of fruit, which lingers in your teeth and throat for more than half an hour. The local villagers have a saying: “ After one cup of Ba Xian, the flavor still lingers in your throat when you are at downtown . We may see the old age of Ba Xian tea tree from the picture. Like wrinkles of old man, the hundreds of years old tree has holes in their bottom trunk .We let the trees grow by nature, no pesticides given to Ba Xian trees. We also do not cut the grass or other plants surrounded Ba Xian tree so as to keep it in a naturally good biological environment. Ba Xian likes old wine that gives you the taste of matured mellow flavor. grow in harmony with all kinds of wild plants in the mountain. In such an originally biological environment, the Wild Baiye Dangcong teas bring you natural taste like orchid, peach, honey. This tea may help your body to keep in good balance by natural nutrition. Phoenix Dancong Qun Ti Xiang(Mixture of several kinds of fruit flavor) grows in Phoenix Mountain, Chaozhou, China. It has the natural fruit aroma produced by the nature. This aroma like mixture of all kinds juice, however, it let you experience different fruit flavors in one cup of tea, like peach, nut, and lychee. It grows in the mountain which is covered by heavy fog in the early morning and at dawn. The mountain also has rich minerals in the special rocky red soil. 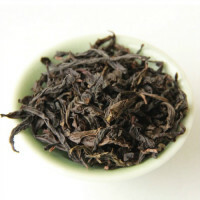 This magical aroma can only be produced by Phoenix Mountain rock and fog which give birth to this special fruit aroma. This tea absorbs rich minerals from the rocky earth. So you may enjoy a fruit tea without putting any fruit into the tea. Phoenix Oolong Zhi Lan Xiang(Orchid flavor), grows in Phoenix Mountain, Chaozhou, China.It is a popular Phoenix Oolong tea. It has the natural orchid flavor. When you are enjoying cup of Zhi Lan Xiang, it seems that orchid flower is blooming around you. The old tea tree of Zhi Lan Xiang produces tea that can be brewed more than 20 times which still has orchid flavor. 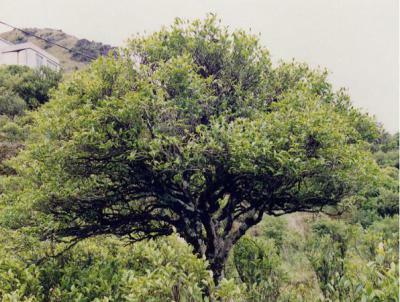 We chose tea trees from the mountain that the altitude is more than 1000 meters, far away from industrial area. Phoenix Oolong Xin Ren Xiang (Almond flavor), grows in Phoenix Mountain, Chaozhou, China. It is well known with its high aroma of almond. 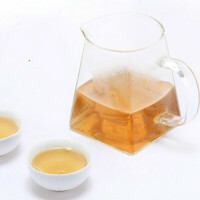 The tea’s silky taste with almond flavor brings you fantastic experience. Chaozhou people take this tea as precious tea when they send tea gift to friends or important people. It has quite limited volume each year for the high mountain Xin Ren Xiang. Osmanthus is helpful for warming stomach and driving away coldness, while Phoenix Dancong is good for digestion and anti-oxidation. We bake Phoenix Dancong with Osmanthus flowers, which makes amazing sweet osmanthus and tea aroma. It is a special select tea for cold season, which warms you up and keeps your body in good balance. Traditional Chinese medicine emphasizes keeping warm in cold days. Only when your body is warm, you may be strong and energetic. Osmanthus Dancong helps your body to keep warm and at the same time helps you to clean your stomach and intestines. So when a person is warm and clean, he/she may feel good in cold days. In ancient time, Phoenix mountain was so cold that snow fell down in early winter. When the tea leaves were covered with light snow, it looked like Xuepian(snow flake). That is why we call it Xuepian(snow flake). Phoenix Dancong Xuepian has experienced frost, even snow, and this make the tea leaves smell better with quite high orchid flavor. It is the natural orchid flavor that comes out from Xuepian. When you pour down the hot water, high orchid aroma surrounds you, and it seems that you are having a flower aroma SPA from nose through your body. 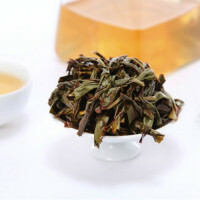 Phoenix Dancong Xuepian is so attractive that once you try it you will love it.This is an amazing Chinese tea which only has limited yield, since it can only grows in Phoenix mountain and produces in early winter.